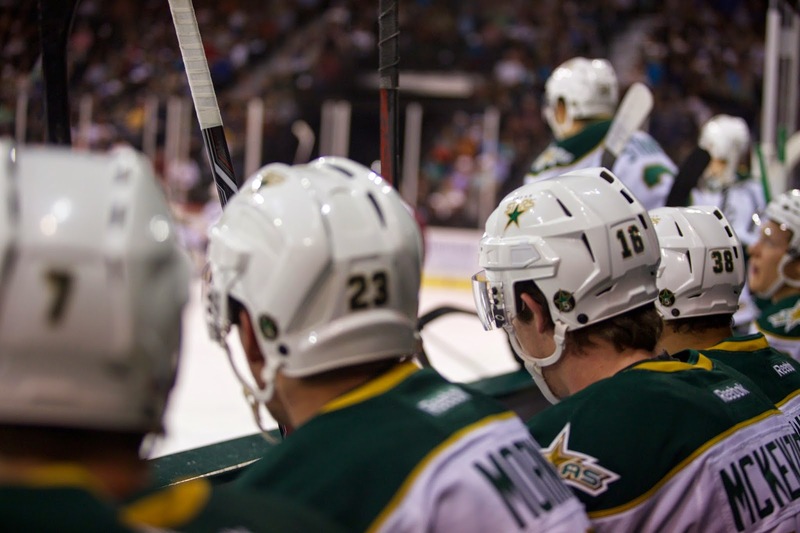 The preseason schedule is out for the Texas Stars, and it's no big surprise. 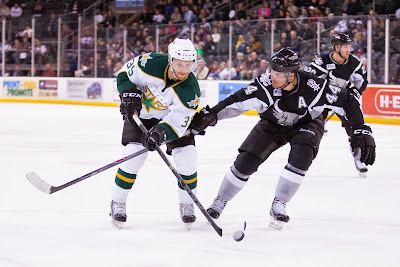 The Stars will host the San Antonio Rampage twice to fine tune before the season kicks off on October 10th. The Texas Stars, American Hockey League affiliate of the NHL’s Dallas Stars, announced today their 2015-16 preseason game schedule. The Stars will host the in-state rival San Antonio Rampage in a pair of exhibition games on Friday, Oct. 2, and Sunday, Oct. 4, at Cedar Park Center. Friday’s game will start at 7 p.m. Sunday’s puck drop is set for 3 p.m.
Texas Stars full season ticket holders already receive tickets to both preseason games as part of their full 40-game plan. Individual game tickets for both preseason games are on sale now. In a move that was surprising to precisely no one, the Texas Stars announced today that the Idaho Steelheads will continue for another year as the ECHL affiliate of the club. Dallas has had an affiliate relationship with Idaho since 2003-04 with the exception of a single season (the NHL lockout). Last season saw Idaho win the Pacific Division. This season they will likely be led in net by Dallas prospect Philippe Desrosiers, a highly anticipated goalie for the organization. The Dallas Stars announced today that the club will renew its affiliation with the ECHL's Idaho Steelheads for the 2015-16 season. The Steelheads have served as Dallas' ECHL affiliate since the 2005-06 season and during the 2003-04 campaign. Idaho has reached the Kelly Cup Finals three times as an affiliate of the Dallas Stars, winning the Kelly Cup twice (2004 and 2007). 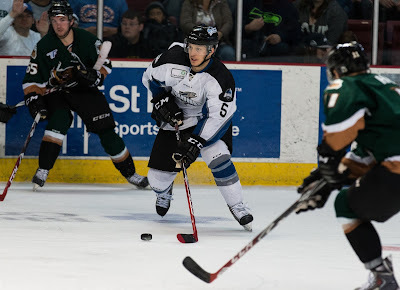 The Steelheads were crowned Pacific Division champions during the 2014-15 regular season, posting a record of 48-18-2-4. "We are extremely pleased to renew our affiliation with the Steelheads," said Director of Hockey Operations and Texas Stars General Manager Scott White. "Head Coach Brad Ralph has done a tremendous job in Idaho, as his success in developing young players has led to the winning culture we strive to uphold at all levels of the organization. We look forward to our continued partnership with the Steelheads." Last night, the Dallas Stars broke the news on Periscope (of all places) that they had acquired Patrick Sharp from the Chicago Blackhawks. The vet winger has three Stanley Cups and was high on the wishlist of several teams this year. He was available due to the Blackhawks cap space issues. Initial reports last week had the Hawks asking for a first round pick, a top prospect and a top six forward still on his entry level deal. Jim Nill played the patience game and appears to have won yet another July trade. The big news for Texas Stars fans in all of this is the second half of the trade return: defenseman Stephen Johns. Sharp and Johns joined the organization with Trevor Daley and Ryan Garbutt heading to the Windy City. 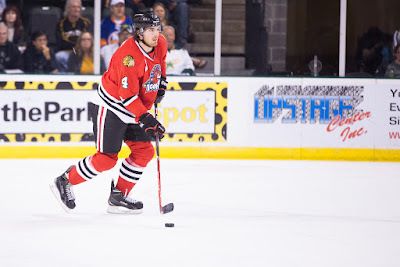 If you'll remember, Stephen Johns played a great series against the Texas Stars in the first round of the playoffs, scoring the OT winner to eliminate Texas. According to the league, Stephen Johns isn’t even the best rookie defenseman on his team. That would go to Ville Pokka (no, he’s not a bond villain working with Magnus Hellberg), who led all rookie defenseman with 30 points (8 goals, 22 assists). We, of course, would disagree. As an overall player, we were more impressed with Johns in both games at the Cedar Park Center. He also happens to lead the AHL in plus/minus at plus-27, no other rookie is in the top-15. Johns also has 18 points (4 goals, 14 assists) in 45 games. Folks have been pointing to Lindell and Honka as potential injury callups or 'cup of coffee' callups this year for Dallas. You can add Johns to that list now as well. I think you could put Johns in the mold of what Patrik Nemeth did for the Stars. Munch heavy minutes in tough situations and play really great PK for the squad. That was a gap on the roster until last night. The AHL announced a variety of changes to their rules this week following the recent Board of Governors meeting in South Carolina. As expected, the league adopted new 3-on-3 OT rules along with faceoff and coach's challenge rules the same as the NHL. Unfortunately for the Texas Stars and San Antonio Rampage, the league also announced the playoff qualification format for 2015-16. As feared, playoff contention for the coming season will be determined based on points percentage. I have already gone deep down the rabbit hole on why this is bad news for the Stars and Rampage. You can read that article here: A Radical Proposal to Even Up the Competition in the Pacific Division. The 2015-16 regular season will consist of 1,120 games, played between Oct. 9 and Apr. 17. All teams will play 76 games each with the exception of the clubs which joined the AHL in January as part of the creation of a Pacific Division (Bakersfield, Ontario, San Diego, San Jose, Stockton); those five teams will play 68 games each. Teams will receive two points for a win and one point for an overtime or shootout loss. The top four teams in each division ranked by points percentage (points earned divided by points available) will qualify for the 2016 Calder Cup Playoffs, with one exception in each conference: if the fifth-place team in the Atlantic or Central Division finishes with a better points percentage than the fourth-place team in the North or Pacific Division, it would cross over and compete in the other division’s bracket. The 2016 Calder Cup Playoffs will feature a divisional playoff format, leading to conference finals and ultimately the Calder Cup Finals. The division semifinals are best-of-five series; all subsequent rounds are best-of-seven. This summer, the American Hockey League's Collective Bargaining Agreement (CBA) between the league and its players' union expired. Throughout the summer, the league and the Professional Hockey Players Association (PHPA), which represents players in the AHL and other lower professional leagues in North America, have been in negotiations to work out a new CBA and get ready for the coming season. Hockey fans are unfortunately rather familiar with the consternation that CBA negotiations can cause. Most notably, fans will remember the NHL lockouts of 2004-05 and 2012-13. The AHL, in stark contrast to the NHL, has been rather quiet about its negotiations with the PHPA. Negotiations have been ongoing throughout this month with the most recent round wrapping at Hilton Head this week. Texas Stars forward Greg Rallo and former defenseman Maxime Fortunus are the team representatives to the PHPA. There is surely a lot of discussion about how the new AHL Pacific Division will affect the CBA, given that its players will play fewer games. Many of the stipulations in the CBA are by game or by day and delineate differences between game day and other days. With fewer games for only some players, some things change, and that is surely being hammered out. At this point, the fact that no one is saying anything should be viewed as a good thing. The league and its players don't want negotiation to happen through the media. The NHL provided a pretty rough vision of what that can look like, and it caused two work stoppages in the last ten years in the top league. Rest assured that as soon as something comes out, it will be covered here on 100 Degree Hockey. For now, enjoy the summer. 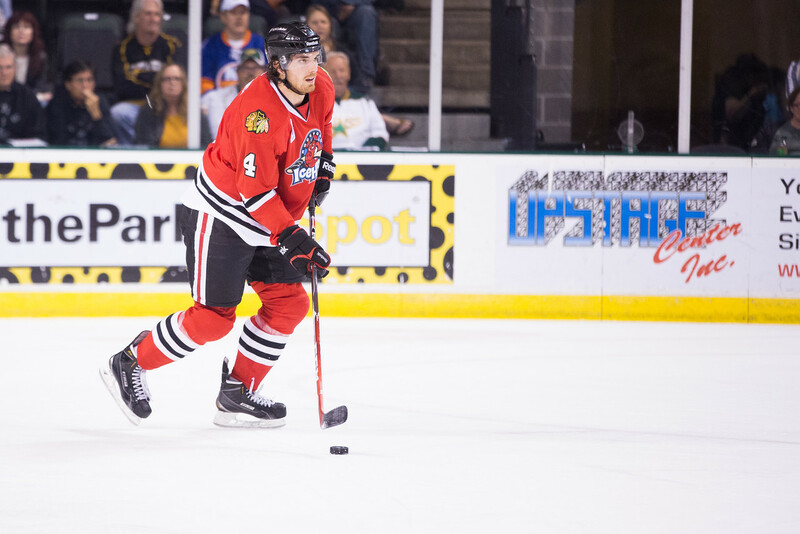 The Texas Stars confirmed the earlier reported signings of Greg Rallo, Matt Mangene and Derek Hulak and further announced the addition of defenseman Jesse Blacker and forward Cory Kane. Blacker has 235 games of AHL experience, mostly in Toronto and Norfolk. Midseason last year, he was traded to Florida and was assigned to San Antonio. 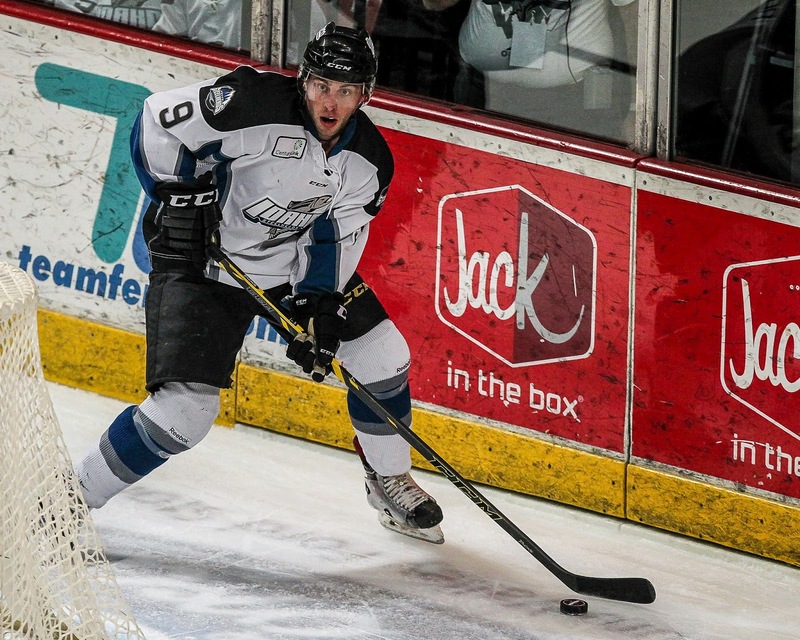 He played 40 games in the Alamo City and looks to be a solid AHL defenseman for Texas. Blacker even played a single game with the Ducks in 2014-15, to date his only NHL game. Blacker's 235 games makes him look like the veteran player that the Stars have been looking for. It is an interesting pickup because Blacker has been on NHL contracts to this point in his career. Jim Nill has said that the Dallas Stars would only be active in free agency post-July 1 to supplement the Texas roster but have still yet to make any moves to do so. Kane spent most of the season with the Providence Bruins as a rookie last season. In 55 games, he potted 7-12=19. He was assigned to South Carolina for a short six games during the season, scoring 2-2=4. Kane seems like a player who could help round out the forward group and act as a tweener with Idaho. Is Texas betting on Matt Mangene becoming Maxime Fortunus 2.0? The Texas Stars will announce today the re-signing of three key players to AHL contracts, according to a source close to the team. Forwards Greg Rallo and Derek Hulak and defenseman Matt Mangene will all rejoin the Stars for the 2015-16 campaign. This is the first big move of the free agency period for the Texas Stars, who have only signed two rookies to this point. Further, the Dallas Stars have made no moves in free agency that would add players to the roster in Cedar Park. The forward signings help to solidify scoring for the coming year. Greg Rallo is coming off a career year in which he potted 27 goals and 22 assists. His goal tally was the best of his career and came in fewer games than his previous best of 26 (78 games v. 72). "It was a bounce-back year," said Rallo at the end of the season. "Hockey became fun again, and it wasn't a job. Playing in key roles is a key to scoring and putting up numbers. It went away [in San Antonio] but once [Coach] Laxdal trusted me in those situations, I got a chance to be in those roles." Rallo solidifies a veteran core among the forwards along with Travis Morin, who is under contract to Dallas for the coming two seasons. With the signing, Texas may have also just inked its new captain. Barring a large veteran signing on defense, the captaincy is probably a two-man race between Rallo and Morin. By his own admission, Morin is not the sort of player to lead with a C on his chest. He'll definitely have an A though. Rallo already served as captain of the San Antonio Rampage for one season. If you combine this with the familiarity he has with both the organization as a whole and its head coach, it makes a lot of sense. Derek Hulak is a player with a huge upside and an excellent re-sign by Texas. He was fifth on the team in scoring as a rookie (21-23=44) and seems to be ready to contribute even more. You can pencil him into the top six, perhaps alongside Morin and Brendan Ranford. Matt Mangene is the third re-signing and an interesting one to be sure. 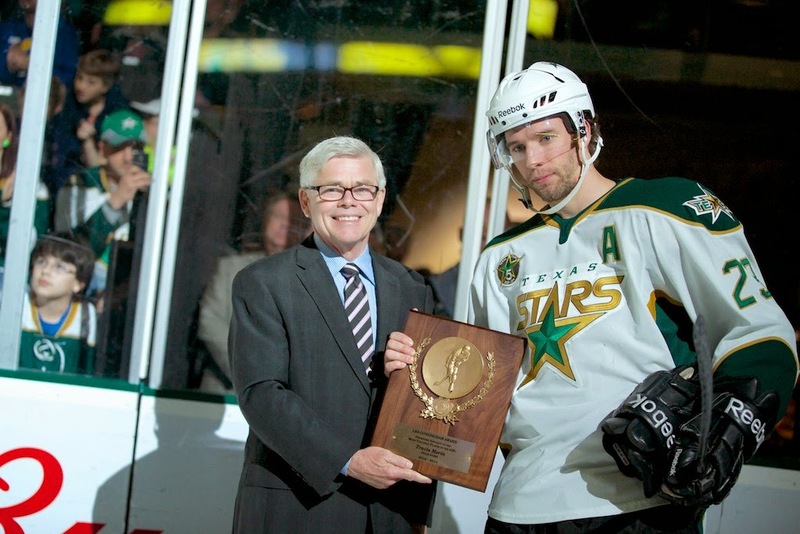 The defenseman came to the Stars on a PTO late in December 2014. He was picked up on a standard contract before the end of the year but only played ten games in the months of March and April after playing in 21 in January and February. To be fair, he scored six points in those ten games despite some long stretches of scratches. Mangene's usage was heavily offensive. He was on the power play often when he was in the lineup, at least until the unexpected emergence of Cameron Gaunce as a power play contributor (something I think even Gaunce was flummoxed by). He even played forward for many games. "I knew coming in here I'd have to be a role guy and I embraced the role," said Mangene at the end of the season. "It's not the easiest thing to do." His offensive prowess brings up an interesting question: Is Texas betting on Matt Mangene becoming Maxime Fortunus 2.0 for the club? By the time Fortunus became an everyday AHLer and hit his stride in Manitoba, he was potting an average of 20 points in a season. Each season he was playing 70+ games, however. Meanwhile, Mangene put up 17 points with the Stars last year in just 36 games. If you stretch that out to 76 games, it comes out to about 35 points. That's one better than the high-water mark that Fortunus achieved during his Texas career (34 points twice, in 10-11 and 14-15). Aside from scoring, long-term, does Mangene turn into the player that you lean on for veteran leadership? Is Texas locking in his loyalty early and making a big bet on his future development? Maxime Fortunus was a big asset to lose for the Stars, especially in the same year that the club lost Derek Meech and Cameron Gaunce. I'm not saying that Mangene steps right into those shoes on Day 1, but he could definitely develop into that player for Texas. If nothing else, Mangene will at least have enough time to get his car to Austin this time around. Last season, Mangene was "Scott Valentine's shadow" because he never had a chance to get his car from Florida to Austin, and the roommates basically had to do everything together thanks to the lack of transport for Mangene. Two years in Iowa? Not bad. The first day of free agency was quiet for the Texas Stars. They announced the signing of two rookies but otherwise were pretty mum on the whole signing front. Dallas only signed Patrick Eaves, who will affect the depth in Texas by taking up a spot in Dallas, but that was the only UFA move for the club. Dallas also announced a two-year deal for Curtis McKenzie, an RFA who had already been qualified. Meanwhile, the moves were fast and furious for many of the top players on the AHL 100 list, including a few former Stars. Cameron Gaunce was the first to go. Gaunce, who was looking for more NHL time, signed on with the Florida Panthers. The Panthers aren't as deep on the blue line as Dallas, so he may get that chance in South Florida. 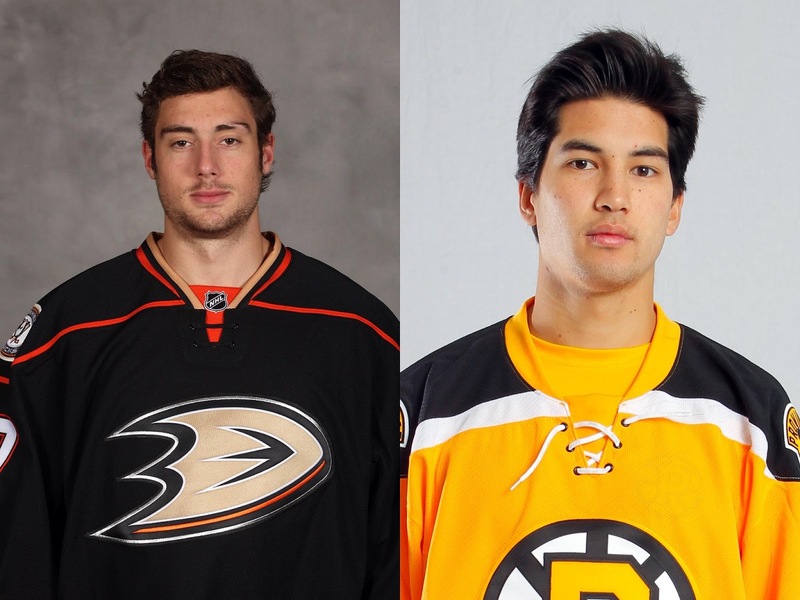 If not, the Portland Pirates are really stacked up now with the signing of Gaunce, Regner and McKenna. They will make a run for it in the playoffs this season, I think. 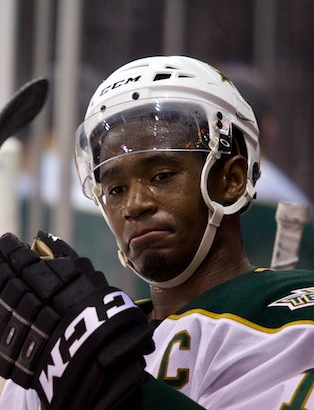 Maxime Fortunus found a job very quickly (for an AHL contract) in free agency. Late in the day, the Iowa Wild announced that he had been signed to a two-year contract. Two-year deals are rare in the AHL, which tends to go year-by-year with contracts. However, Fortunus is a special player, as evidenced by the lengthy bio writeup the Wild gave him, and this is his second two-year AHL deal in his career. Other former Stars to find homes on day one included goalie Richard Bachman (Vancouver/Utica) and forwards Chris Mueller (Anaheim/San Diego) and Dustin Jeffrey (Arizona/Springfield). It's not a ground shaking move, but it's something. 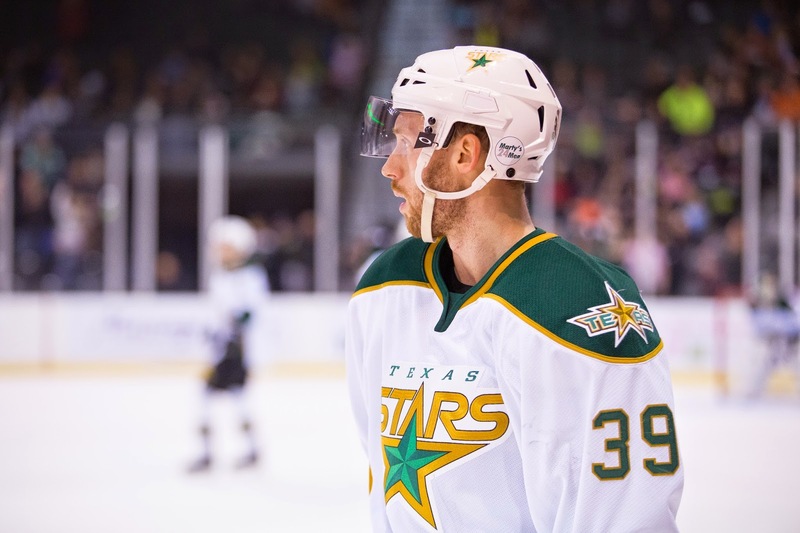 The Texas Stars have announced this morning that they have signed two players to AHL contracts for the coming season. Both are rookies coming out of the collegiate ranks. Defenseman Zack Kamrass, who played six games at the end of the season with Idaho, is the first player. He played four years at Massachusetts-Lowell, tallying 13-51=64 in 147 career games. However, in just six games with Idaho, he tacked on 2-3=5. The former USHLer is a Georgia native, interestingly. Forward Cam Braes is a player in the Derek Hulak mold. He played a full WHL career and then joined the college circuit. During his time with Lethbridge, he actually played with Colton Sceviour if you want perspective on his age. You'd expect both of them to play most of their games in Idaho. The Texas Stars, American Hockey League affiliate of the NHL's Dallas Stars, announced today the team has signed rookie forward Cam Braes and rookie defenseman Zack Kamrass to AHL contracts for the upcoming 2015-16 season. Kamrass (KAM-rihs), 24, joins the Stars after completing a four-year college career at the University of Massachusetts-Lowell. The 5-foot-11, 189-pound defenseman appeared in 147 career games for Lowell and recorded 64 points (13 goals, 51 assists). After his final collegiate season ended, he made his professional debut competing in six games for the ECHL's Idaho Steelheads, tallying five points on two goals and three assists. The Atlanta, Ga., native appeared in six playoff games for Idaho. Kamrass also skated two years for the Sioux Fall Stampede of the United States Hockey League from 2009-11. He recorded 39 points (six goals, 33 assists) in 110 contests. Braes (BRAYZ), 24, begins his pro career with Texas after completing a three-year stretch at the University of New Brunswick. The 5-foot-11, 180-pound forward tallied 69 points (26 goals, 43 assists) in 82 career games for the Varsity Reds from 2012-15. The Shawnigan Lake, British Columbia, native also competed in 350 career games over five seasons in the Western Hockey League between the Lethbridge Hurricanes and Moose Jaw Warriors. He notched 239 points (116 goals, 123 assists) over his WHL career. In 2010-11, Braes scored a career-high 61 points in 71 games for Lethbridge on 31 goals and 30 assists. Free agency: a day so Canadian that it is literally on the same day as Canada Day. But seriously, it's time for all those expiring contracts to come off the books as the mania of creating a successful team for 2015-16 continues. The Texas Stars will have a part in this as NHL, AHL and ECHL contracts all expire at the same time. With many spots to fill, the question has to be: what should you expect from free agency for the Texas Stars? July 1st, the first day of free agency, is unlikely to bring any big signings for the Texas Stars. When do those free agents who will be Texas impact players sign on the dotted line? Two seasons ago, Chris Mueller was signed on July 8th, 2013, one of the earlier AHL-destined signings. That was an NHL deal though, so that is a factor. Greg Rallo did not sign until August 1, 2014 for last season. Derek Hulak was on August 14. William Wrenn, who spent much of the year either as the 7th D or in Idaho, signed on August 25. Further, many players are signed by Texas on AHL/ECHL two-ways and not announced until training camp. Last season, Jesse Root and Mike Dalhuisen fit this mold. In summary, players in free agency who are expected at the AHL level don't sign today. Far from it, in fact. So, the long slog to figure out the make up of the 2015-16 Texas Stars will continue far past today.